NBA Auctions users must now log-in (or register) with their NBA.com account. Please click here to do so. 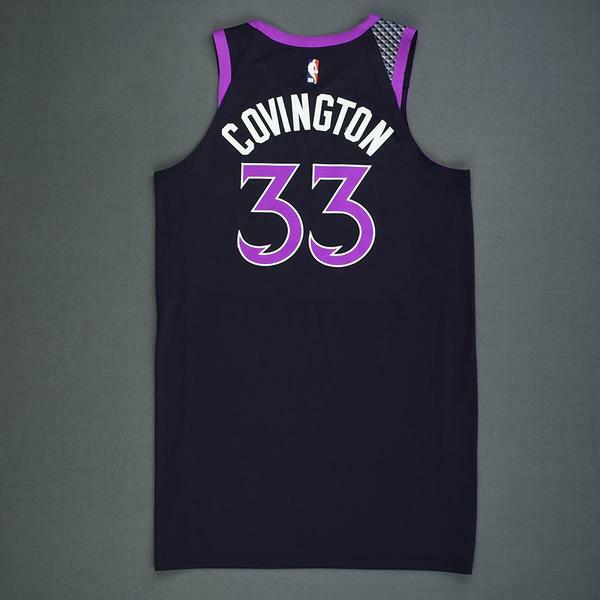 The NBA and MeiGray are proud to offer fans and collectors across the globe the opportunity to own a piece of history... a jersey worn in a game during the 2018-19 National Basketball Association regular season, by #33 Robert Covington of the Minnesota Timberwolves. 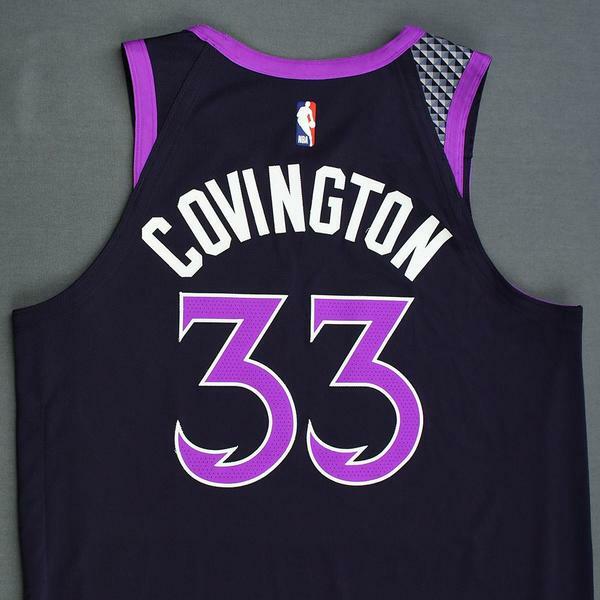 Covington wore this jersey during the Timberwolves' 112-96 victory over the Portland Trail Blazers on November 16, 2018 at Target Center in Minneapolis, MN. He played 23 minutes and registered 14 points with 5 rebounds and a game-high 3 steals. 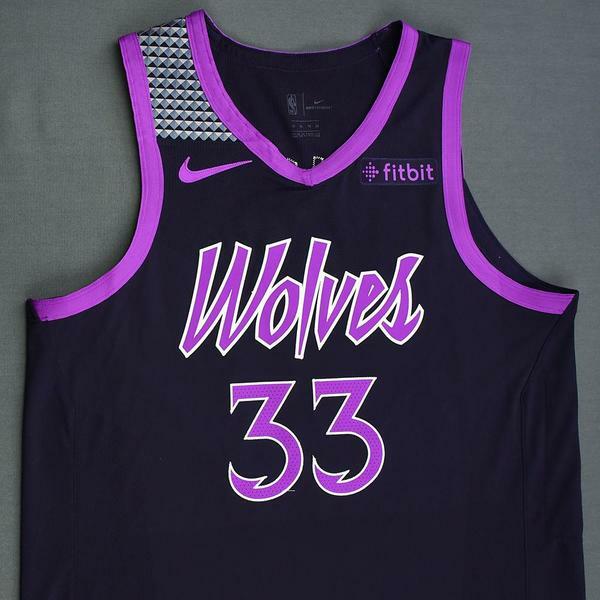 This was the first game that Minnesota wore its new City Edition jerseys. 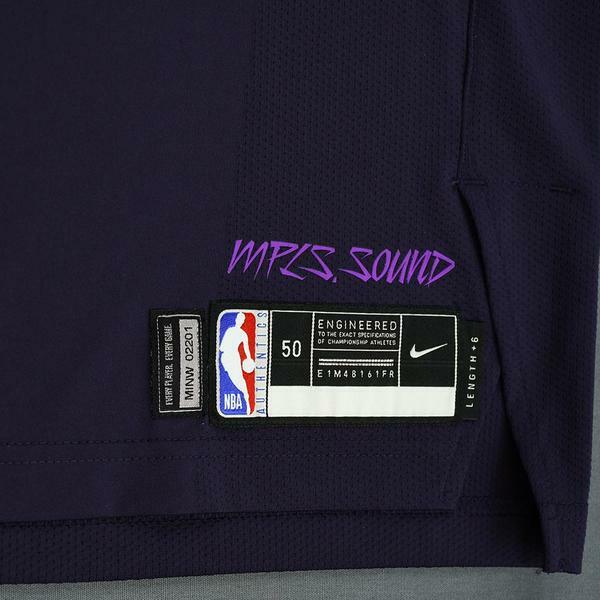 This purple jersey, a Size 50+6 inches extra length, is registered into the NBA and MeiGray Game-Worn Jersey Authentication Program as number MINW02201. 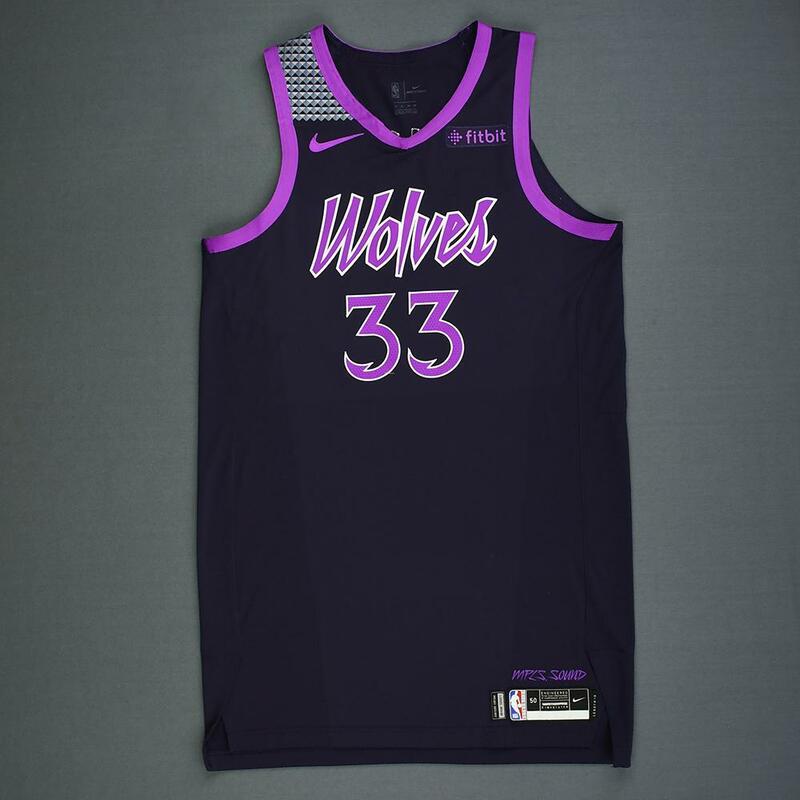 MeiGray Group, the Official Game-Worn Source of the NBA, offers collectors the highest standards of authenticity for an exciting array of game-worn items. 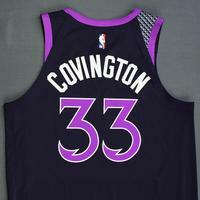 Every item comes directly off the backs of the NBA's greatest players and directly off the courts from the league's most exciting events under the watchful eyes of an NBA or MeiGray representative. Visit nbagameworn.com for the best and latest in NBA game-worn jerseys and other memorabilia items. Items are sold in "as-is" condition. Due to the unique nature of each item, all sales are final. Buyer acknowledges that Seller shall not be liable for any special, incidental, or consequential damages or lost profits (however arising, including negligence) arising out of or in connection with the sale of items on this site. These Conditions of Sale are subject to change without prior notice. Seller reserves the right to extend or cancel the auction at any time. To prevent fraudulent bidding, we require a credit card to place a bid on any auction item. Payment types accepted include American Express, Visa, MasterCard and Discover. The credit card will be authorized to ensure it is valid. A temporary transaction will appear on the card for approximately $4.00 from NBA Auctions. This authorization is temporary and will be automatically deleted within 7 days as determined by your financial institution. The credit card on file will be automatically processed to pay for the auction item if you are the successful auction winner. Buyer pays all shipping costs as determined at the time of sale. Buyer pays all applicable, tariffs, duties and any additional costs associated with shipping inside or outside of North America (if any). Buyer is responsible for paying all applicable taxes to the proper jurisdiction (if any). A Dutch Auction occurs automatically on Major League Baseball Auctions when a seller has multiple, identical items offered for sale. 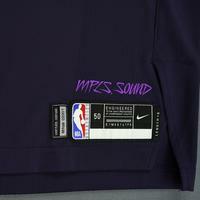 The seller specifies the minimum price (the Opening Value) and the number of items for sale. Bidders can then bid at or above the minimum price for the quantity of items they which to purchase. At the close of the auction, all Closing bidders purchase the items at the same price, which is the lowest successful Bid. How are Closing bids determined in multi-item listings? In some auctions, a number of identical items are offered for sale at the same time. When the listing closes, the highest Bidders win the available inventory. Bids are sorted in order with priority given to price, the quantity bid for, and then finally to time a bid was placed. 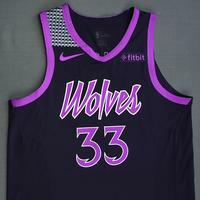 The time of a bid is determined by NBA.com based on its records. If bids are tied for price, the Buyer who has bid in the greater quantity wins. If there are two bids at the same price for the same quantity, the early bid wins. Check out this great NBA auction!